These foam squares come in assorted colors and are great for creating colorful mosaic designs. They are a great way to introduce young children to mosaic art. When kids arrange small pieces into a larger design, it helps develop dexterity and patience. 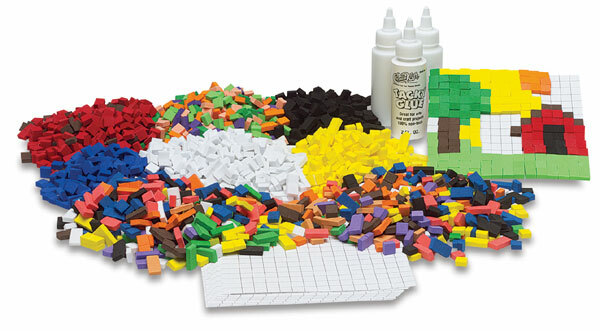 This bag contains 500 foam tiles in assorted colors.